Posted August 6, 2015 to wedding by: Leo Dj. It was fun when I did the engagement session at St. Michaels with Orioles Baseball themed gears for Karen and Ross. Little did I know that the wedding party was even better. It was a blast! 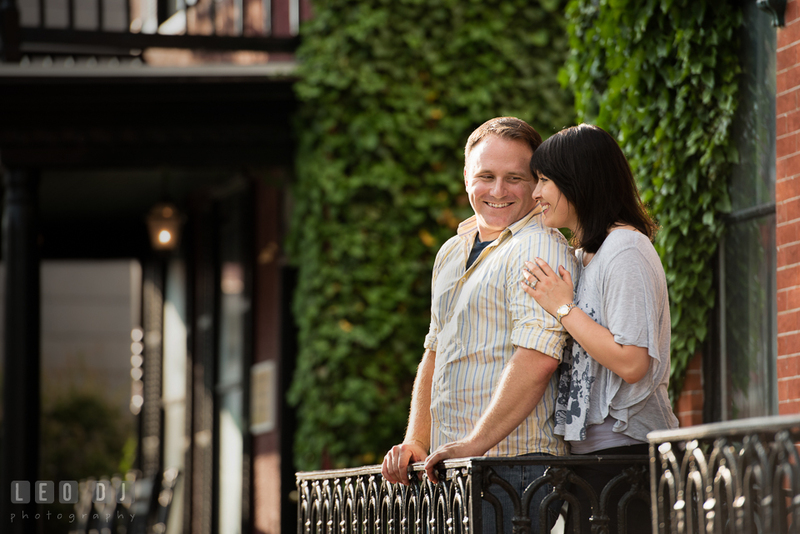 Karen & Ross chose The Oaks Waterfront Inn due to its laid back, relaxed, and private feel. They wanted a beach wedding but somewhere that would be only theirs for the weekend. The couple immediately fell in love with the Inn and how peaceful and at ease they felt being there, with its stunning views and scenery from the water, to the dock, to the Inn itself. It was also wonderful having so many venues being served in one: reception/ceremony, food, drinks, and a place for the wedding party to stay. It just felt like them and they couldn’t wait for their friends and family to see it on the big day. Posted August 6, 2015	to wedding	by: Leo Dj. I AM HIS FATHER !!! Posted July 21, 2015 to wedding by: Leo Dj. Although Courtney and Zach grew up in the same town and attended high school together, they only knew each other as acquaintances. A year after college, both ended up back in Baltimore and ran into one another at a local bar when they were out with their respective friends. Six years later they owned an old farmhouse that they are slowly renovating, and are proud parents of 2 cats, 2 dogs, 3 goats and a mini pig! On one fine evening, Zach popped up the question to Courtney. He proposed with her great-great-grandmother’s ring while they were enjoying drinks and dinner on the edge of their property that overlooks the fields where the sun sets. A perfect setting for such a special occasion. Posted July 21, 2015	to wedding	by: Leo Dj. Posted July 16, 2015 to engagement session , pre-wedding by: Leo Dj. Jenna first met Lee in March 2012 at Blackfinn, Bethesda, during a night out with their respective group of friends. A little introductory talk led to hanging out with both groups, and though they parted ways that night, Lee had her number. He called Jenna over the week, but being the technologically-challenged lady she is, he was left with limited responses until after two weeks when she surprisingly managed to call him back, and they arranged to meet at Annapolis for their first date. One date led to another and many more, and they’ve been together ever since, to the time Lee decided to pop up the question. The couple was traveling together to DC in July 2014 and Lee arranged for touring a dozen of monuments. After the 2nd one, they sat down on a bench for a break. Lee started some small talks, then bent down on one knee and asked Jenna to marry him. A few seconds of shock and then it’s YES. They celebrated by taking pictures and called their families and friends to share the news. 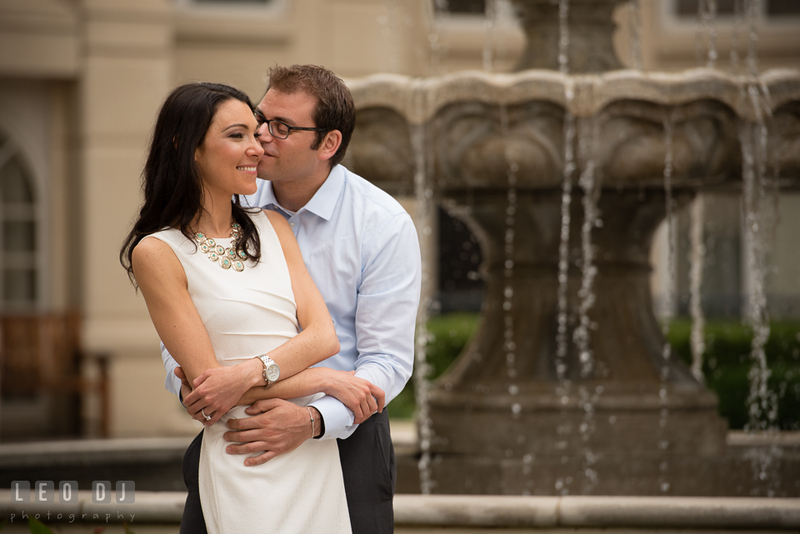 Lee whisked Jenna for a high tea at Ritz Carlton in Tysons Corner, Virginia, and later in the evening they had dinner with their parents at Busboys and Poets. 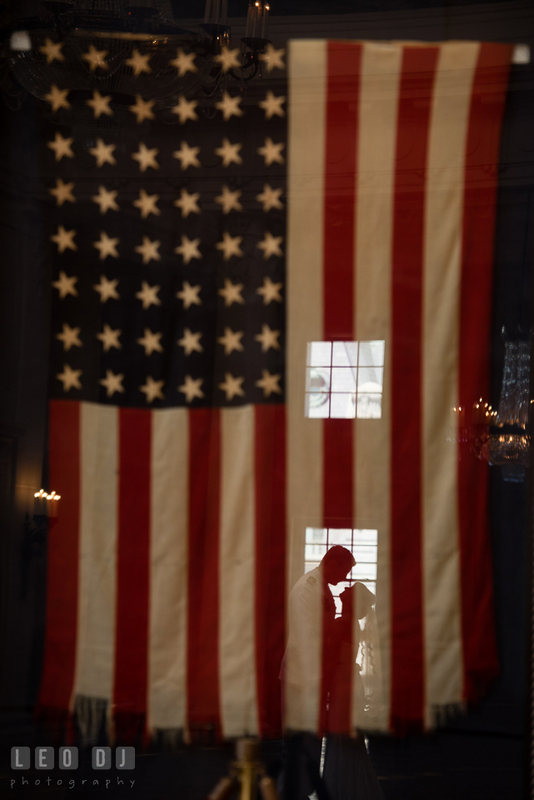 The couple and their families continued the celebration at Hotel Monaco’s bar, Poste, with some close friends. An amazing proposal indeed! Posted July 16, 2015	to engagement session , pre-wedding	by: Leo Dj. Posted July 14, 2015 to wedding by: Leo Dj. 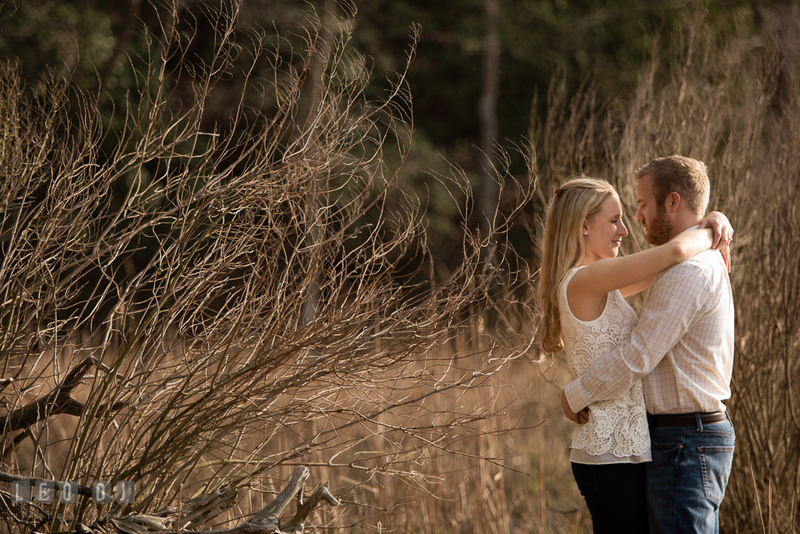 During their engagement session at Quiet Waters Park, Annapolis, Maryland, I was glad to discover that Lindsey and John are truly an amusing and happy-go-lucky couple. Both are enthusiastic and willingly went through all the arduous locations or experimented with various poses. We then ventured on several ideas for their wedding pictures, some of which I am very thrilled to present here. 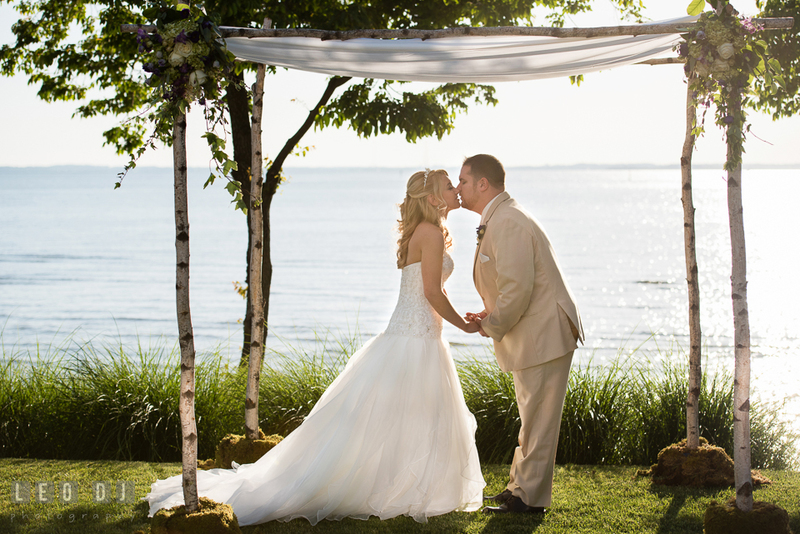 Lindsey and John fell in love with the beautiful Eastern Shore views from the Chesapeake Bay Beach Club. 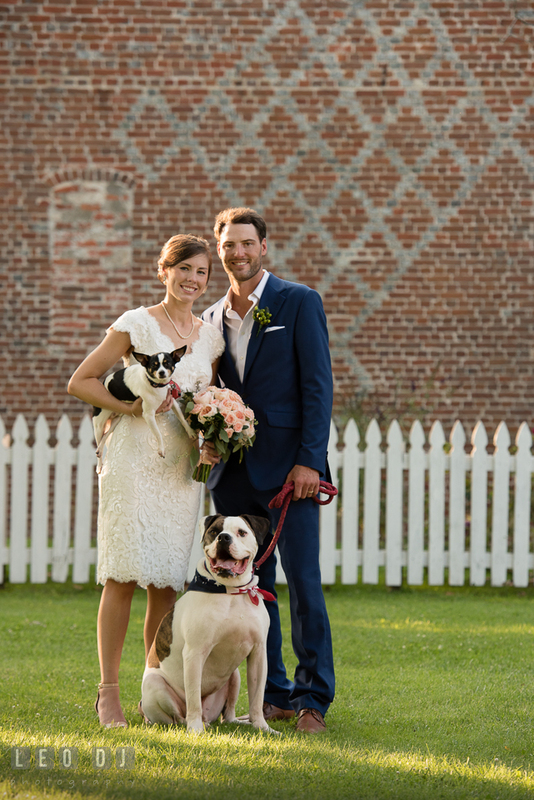 Since the majority of their wedding guests would be from out of town, the couple wanted to show them some of the most scenic spectacles of Maryland. 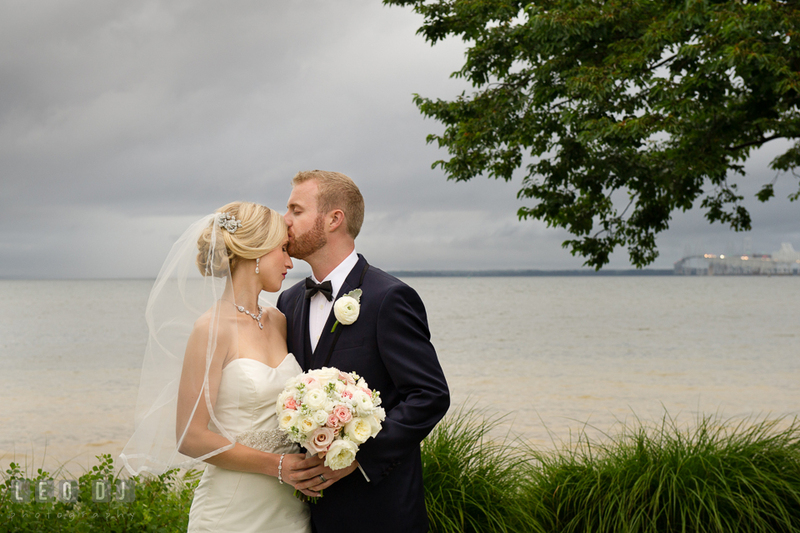 As the Chesapeake Bay is truly iconic and beautiful, it had to play a role in their wedding. Ironically, the weather didn’t cooperate and they didn’t get to have those amazing views they had planned on. Nevertheless, the rain stopped after the wedding ceremony and the guests finally had a chance to wander outdoor and experience the Bay on their own. Posted July 14, 2015	to wedding	by: Leo Dj. Posted July 8, 2015 to engagement session , pre-wedding by: Leo Dj. Lena and Mike met through his best friend who was flying back to his army post in Hawaii as Lena sat next to him and they struck up a conversation about gaming. Before parting ways, both of them exchanged gamer tags. A week later Lena was invited to play Borderlands 2 with ‘a few of the guys’ including Mike and his best friend. Even over group Skype calls, Lena and Mike were drawn to each other as they played BL2 with everyone, though originally she only knew him as “Kryton07” and he knew her as “Rinachu”. Mike lived in Tennessee and Lena was in Maryland. About a month later they decided to meet up half way and see each other in real life. Hence the start of their long distance relationship. Seven months later, Mike got promoted at his company and was able to relocate closer to Lena. They moved in together and shortly thereafter he surprised her with an intimate proposal at home. Mike purposely parked his car further away so she would not know he was home. Lena arrived home, greeted by candles, flowers, and the aroma of Mike’s signature dish, lasagna. He walked to her from the bedroom to the front door, went down on one knee, and asked, “Will you marry me?”. Posted July 8, 2015	to engagement session , pre-wedding	by: Leo Dj. Posted June 17, 2015 to wedding by: Leo Dj. It was a real pleasure for me to do Shannon and Brendan’s romantic engagement session in Washington DC at Lincoln Memorial, because they are truly a nice couple, totally cooperative and great to work with. However, their wedding at the Chesapeake Bay Beach Club was what I had been looking for all along. I was really excited when the day finally came and I got to work with them again! They are one of the nicest couples I’ve ever met. Shannon and Brendan had always wanted to get married on the water with a strong nautical feel. Unfortunately, Virginia doesn’t have a lot of suitable choices for such venues. Nevertheless, everything was in their favor, because eventually they found the Chesapeake Bay Beach Club. They visited it for a bridal show at the beginning of their engagement just to get some ideas, and immediately fell in love with the gorgeous place, all the incredible staff and amazing vendors who answered all their questions on that first day. Shannon and Brendan were so happy to have chosen this astounding venue with its beautiful views and wonderful team who ensured that their wedding day would be truly amazing and special. Posted June 17, 2015	to wedding	by: Leo Dj. Posted June 11, 2015 to wedding by: Leo Dj. After their lovely engagement photo session at the Gettysburg , finally, the most anticipated time had arrived for me to photograph Ilana and Andrew’s Wedding day at the Chesapeake Bay Beach Club. For Ilana, her dream wedding would be somewhere on the beach, as it always bring a sense of tranquility, pleasure, and romance… everything a wedding should be. The Club was the first place the couple had visited. 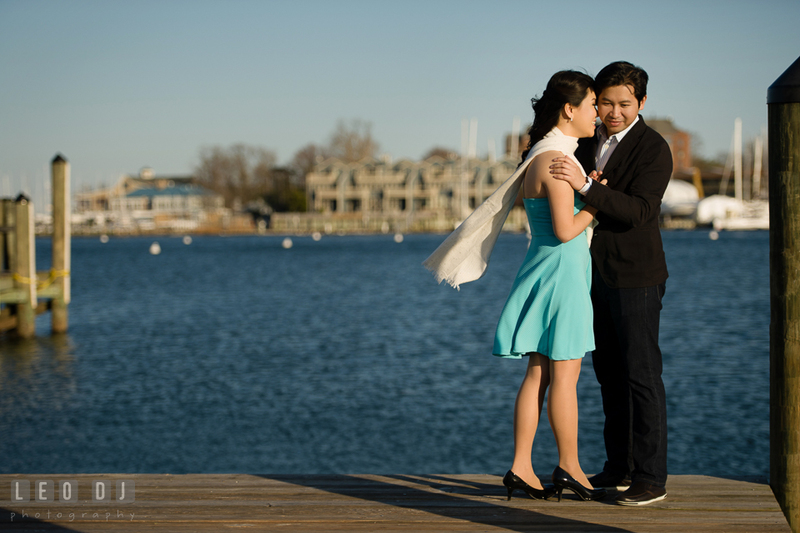 It overlooked the Chesapeake Bay and the famous Bay Bridge, and offered just what Andrew and llana were looking for – a classic and cultural Maryland wedding. They fell in love with the venue immediately without looking elsewhere! Early on, Ilana had chosen the date, May 23rd, without realizing that the venue comes before any arrangement. 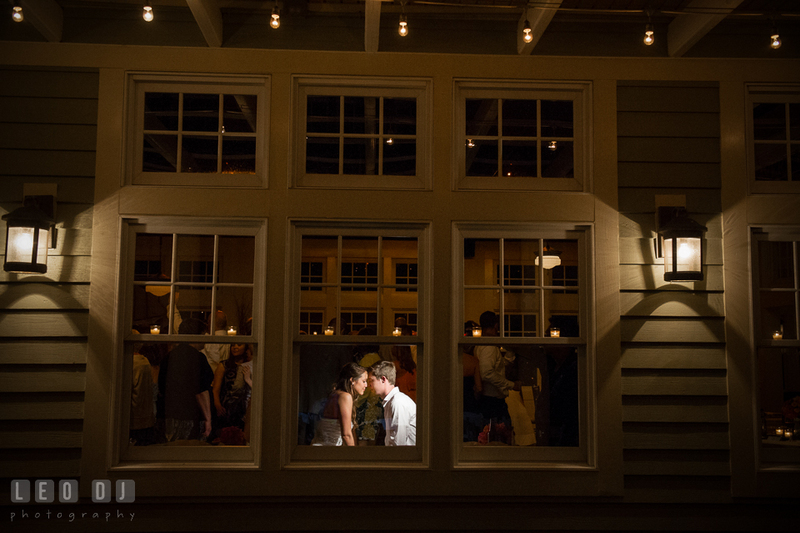 The Chesapeake Bay Beach Club books up far in advance, and the couple had only started looking for a place in August. At first they were told that most dates were already booked up for the upcoming summer. Then, just their luck, The Club informed that a cancellation had just occurred for the 23rd of May. Ilana knew right then that she was meant to have her wedding at this beautiful venue and she couldn’t have picked a better time or place, for it was a perfect day with not a single cloud in the sky. Posted June 11, 2015	to wedding	by: Leo Dj. Posted May 19, 2015 to wedding by: Leo Dj. Etta and Brian first met in June 2010, at Pensacola, FL at the Flora-Bama bar. They then kept in touch ever since, and during Etta’s next trip to Florida in August 2010 to visit her friends, they went on a date. She was in college in Alabama at the time and he came to visit a few weekends after their first date. From then on they switched weekends driving to visit one another. After she finished school, a year after the first date, Etta moved to Hawaii with Brian. Posted May 19, 2015	to wedding	by: Leo Dj. Those are awesome, Leo! Love the weaving of their story with the photos. Can’t wait to see more. Thank you so much for your professionalism and exquisite eye for detail. Then again, you had great subjects! You’re most welcome. My pleasure! Yes, Etta and Brian are great looking couple! I wonder who their parents are? LOL. Magnificent Photography! 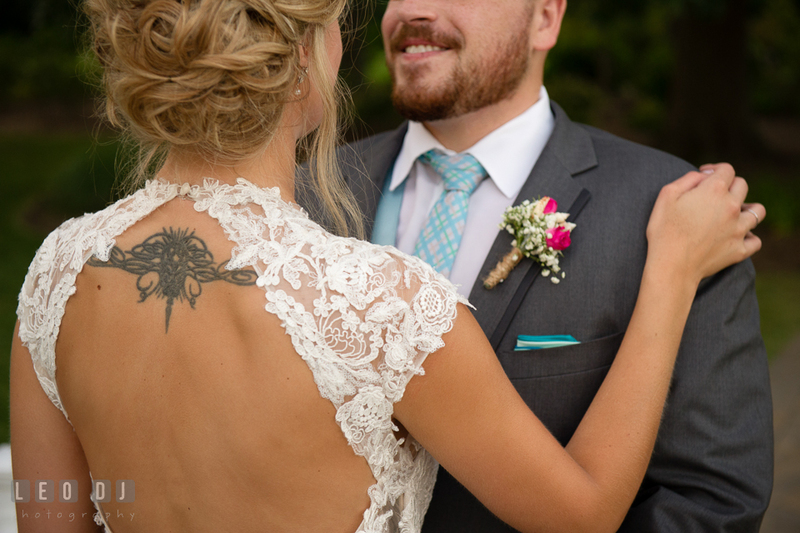 Thank you for capturing the most beautiful day for our Brian and Etta. Your work reflects the joy and love they both share for each other and their sweet, playful nature. Well done Leo! Very well done! Aww… Thank you so much, Nanci. That means so much to me! It was really great working with all of you. I do love capturing their relationship and like you said, their playful nature! Posted May 5, 2015 to engagement session , pre-wedding by: Leo Dj. Lindsey’s first encounters with John in middle school didn’t go that well ever since he professed his undying love for her in 7th grade science class, while she wanted nothing to do with him. Since their last names were in alphabetical order, they were often assigned seats together and even had lockers next to each other, so she couldn’t avoid him even if she wanted to. Luckily for Lindsey, as the years went on, John toned down his love professions and they eventually became friends in high school. After they graduated, he went into the Marines and she to college at UMD. They reconnected through AIM when he was serving overseas and IMed her. Their daily chats turned into daily emails. When John finally got home from deployment nearly 6 months later, they met up, something between them clicked, and they spent nearly everyday of his 2-weeks leave together. A long-distance relationship followed afterwards for 2 years, where they managed to see each other every 6-8 weeks, except for when John went away on second deployment. Once he finally got out of the marines after serving for 5 years in June 2010, he moved back home to Maryland. Lindsey graduated from college a year later and they moved in together. In August of 2013, they were vacationing in Bethany Beach, DE. It was a Friday, the last day of their vacation, and they had dinner at their favorite restaurant, Off the Hook. They walked home on the beach afterwards, talking about what a great week it had been, under light rain. Halfway home, John suddenly stopped and dropped to one knee. He was intensely emotional that he couldn’t actually get the words out, so Lindsey had to ask, ” John, are you asking me if I want to marry you?! ?” which she obviously said yes. They later celebrated with a bottle of champagne well hidden in the refrigerator for the perfect occassion. To this day, John loves to say he has known that they were meant to be since 7th grade. Posted May 5, 2015	to engagement session , pre-wedding	by: Leo Dj. Posted April 28, 2015 to engagement session , pre-wedding by: Leo Dj. Nita first heard of Leo from her roommate. Though they didn’t meet until summer of 2009, they sort of knew one another since both were Indonesians and shared the same mutual friends. Nita used to go to a small Christian school in central VA for college, while Leo went to Virginia Tech. Whenever he drove from DC to VTech, he had to pass her school and he used to make jokes of it by saying,”Who will go to that school?”. After their initial meeting, they didn’t reminisce again until early 2010, when they started to hang out quite a bit since both lived close by, but without any intention to date each other. Yet from friendship, their feelings grew for each other and they decided to start dating in September 2010. Late last year, the couple were heading to Tysons Corner to catch a movie. Halfway through, Leo suddenly turned to a jewelry store across the street from the mall and asked Nita to choose any ring she favored as an engagement token. A few weeks later, they went back to Indonesia and had a small party to formalize the engagement with their respective families. Posted April 28, 2015	to engagement session , pre-wedding	by: Leo Dj.